Maybe don't *break up* with Facebook. Just take a break. Grab your pitchfork, fellow human. We have a new villain to run out of town, and its name is Facebook. It’s selling our data, monitoring our phone calls, and, perhaps worst of all, doesn’t even seem to feel that bad about it. But before you set your torch ablaze delete Facebook, let’s take a beat. Is the platform really a toxic monster? Or perhaps more of a misunderstood beneficial beast? Last month, The Journal of Social Psychology published a study exploring the relationship between Facebook and stress. Using 138 active Facebook users as their guinea pigs, researchers from the University of Queensland found that taking a five-day break from the platform lowered levels of the stress hormone cortisol. Ready to hit that delete button? Not so fast. And those lower cortisol levels? Participants didn’t even notice, reporting that they felt just as stressed as they did before quitting Facebook temporarily. In some instances, using Facebook can actually help you cope with stress. That’s according to a study the journal Computers in Human Behavior published in May 2017. Northwestern University researcher Renwen Zhang surveyed 560 Facebook-using university students, focusing on their use of Facebook to disclose information about stressful events in their lives. Zhang concluded that opening up on Facebook helped the students mentally cope with stressful situations. When the students shared information, they were likely to get support from their Facebook friends in the form of encouragement, advice, or offers of help. This, in turn, made them feel supported, more satisfied with life, and less depressed. 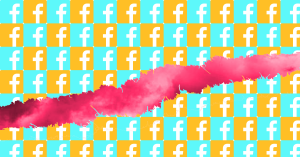 Quitting Facebook means saying goodbye to all those digital hugs that can help you get through your latest breakup or crappy day at work. So, how do Facebook’s scientifically supported benefits stack up against its drawbacks? Well, there are the aforementioned privacy issues to consider, plus the damage the platform can do to our health, IRL relationships, self-esteem, intelligence, overall well-being… We could go on and on. On second thought, maybe it is time to grab your pitchfork. Or, at least, don’t extinguish the flaming torches just yet.